Emily Greens is offering an Unlimited Fall Pass for only $99 – Individual; $129 – Family; and add a cart to either Pass for just $30. Play from now until the snow flies!! We have been open into November for 16 of the last 17 years (we will not talk about last fall). 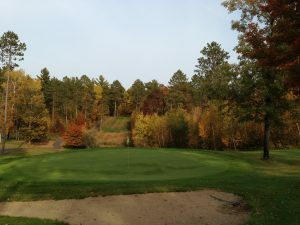 There is opportunity for lots of great Fall golf. As a bonus, the Fall Pass fees can be applied to any 2019 Season Pass! Get you Fall Pass and start enjoying the best season of all. ← Announcing Grandkids Play Free!